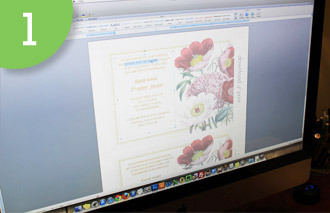 Create beautiful INVITATIONS for a FRACTION of the price. Invitation templates make it easy! NO LEARNING CURVE - Add your wording with Microsoft Word, a program you already know. 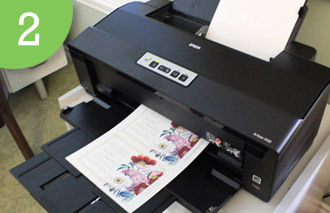 NO EXPENSIVE KITS - All templates use 8.5 x 11 paper; inexpensive and easy to print. NO LIMITS - Print unlimited copies. Forgot to invite someone; just print more copies. NO COMPROMISES - You can have boutique style invitations on a DIY budget. Open the template file in Microsoft Word or Mac Pages. Type in your event details, change fonts and font colors. Did the start time or location change? No problem, type in the new details and print. Stop waiting around for revisions and proofs. Change it a million times until all your relatives approve! Print unlimited copies, at home or take to a local copy shop. Forgot to invite someone; just print more copies. All our templates print on 8.5 x 11 paper, the standard for the print world. Buy this paper for about $15 for 250 sheets, then use it to make all your wedding invites, programs, menus, and more. Trim along the dotted lines to the finish size. 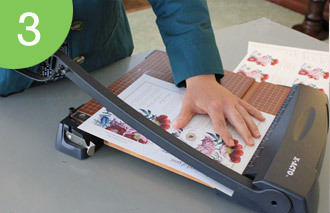 A straight edge paper trimmer saves time, cutting five sheets at a time. With all the money you've saved, splurge for color envelopes, ribbon wraps, or rhinestones. Get crafty with embellishments and layers to create a ‘high-end’ look for very little cost. "Oh my goodness, what an amazing service. This honestly was the answer to my prayers after searching etsy, pinterest & wherever they led me….I used the chat button and got PHENOMENAL customer service – and Anna helped us by making great suggestions, changing the size and pointing me in the right direction for paper & matching envelopes. I honestly could not have been happier. THANK YOU!"